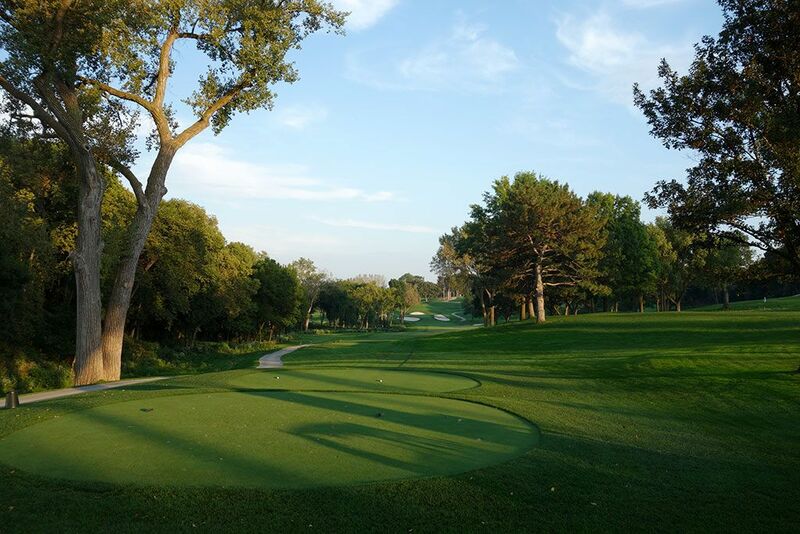 Course Website: Official Website - Visit Omaha Country Club's official website by clicking on the link provided. Accolades: Ranked 3rd in Nebraska on Golf Course Gurus' Best in State list. 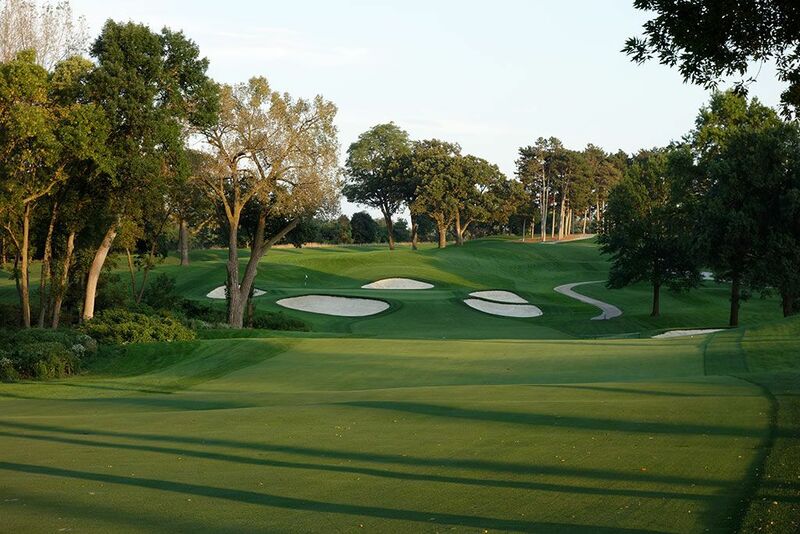 What to Expect: Omaha Country Club is an old school course that dates back to the late 20s before Perry Maxwell redesigned the track in the early 50s. 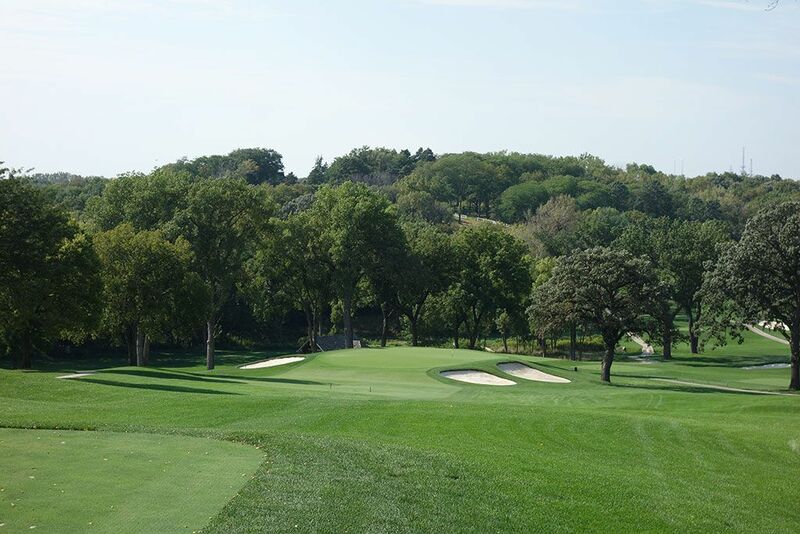 Like many people coming to Omaha I made the assumption that the course would be mostly flat similar to other championship layouts like Winged Foot, Baltusrol, and Inverness. Boy was I wrong, and I've never been happier about it! OCC is very hilly, dramatic, and difficult. It is a tough enough walk that several players withdrew from the 2013 U.S. Senior Open after playing practice rounds and cited the hills were too severe for their aged bodies to contend with in the Midwest's humid summer heat. Some of the elevation changes throughout the course can add or subtract 2-3 clubs from your usual selection at that distance. The greens and conditioning are superb with Maxwell's putting contours providing impressive challenges at the speeds the club maintains them at. 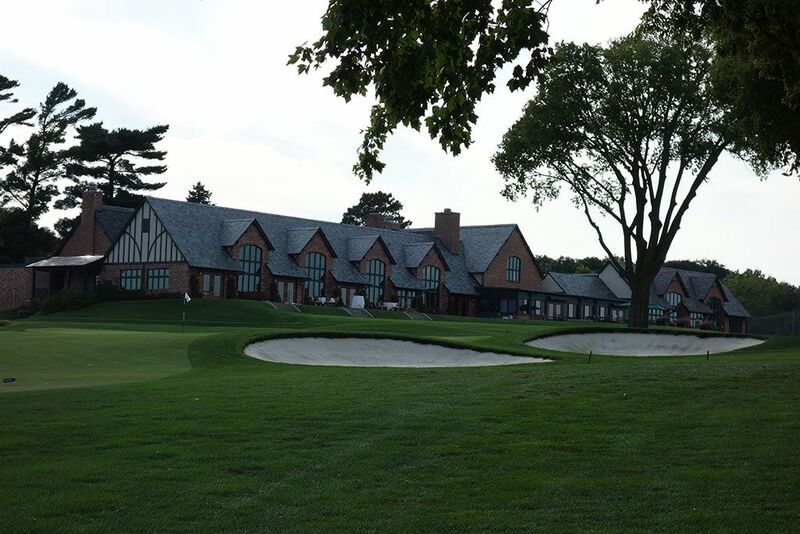 The sprawling clubhouse is more than sufficient to handle large events for the membership and various tournaments; a necessity for hosting USGA events. The course isn't long but is a stern test to say the least, in fact, I've never had so much fun shooting a 91. In a state best known for corn fields, Husker football, and golf courses in the sandhills, Omaha stands out as finest country club in Nebraska and one of the best courses in the entire Midwest. 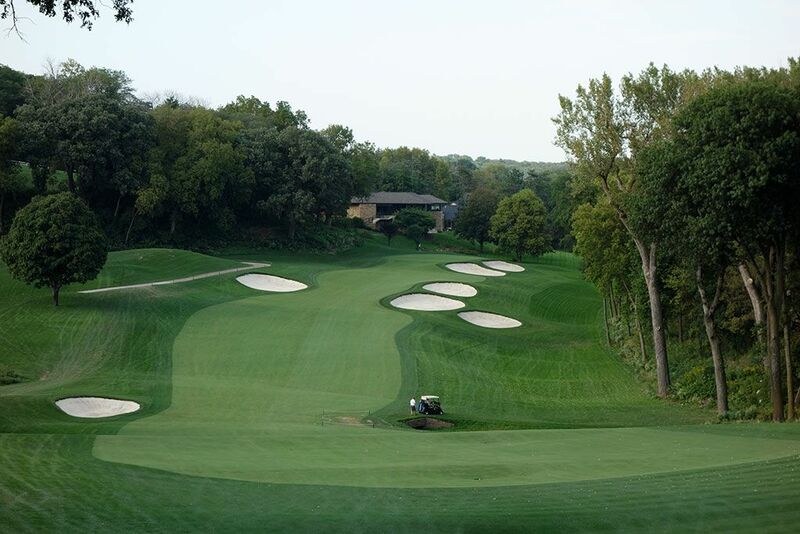 Signature Hole: 10th Hole – 506 Yard Par 5 – The biggest surprise most people will have when playing Omaha Country Club are the number of hills and elevation changes founds throughout the property; which is presented in full force on the dramatic 10th hole. From the elevated tee players are not afforded a view of the lowest point of the fairway where a creek comes in from the right and then tunnels under the fairway before exiting out the left rough. After cascading down approximately 50 feet, players are then faced with an uphill approach shot that must climb as much, or more, elevation going up as they just enjoyed going down. The steep fairway doesn't allow many spots to lay up to confidently, especially since four bunkers protect the fairway in that zone and three more bunkers protect the green. I loved this hole and it showed off the movement in the property in an impressive fashion. During the 2013 Senior U.S. Open this hole was dubbed as a par four and played more than a half stroke over par for the championship. 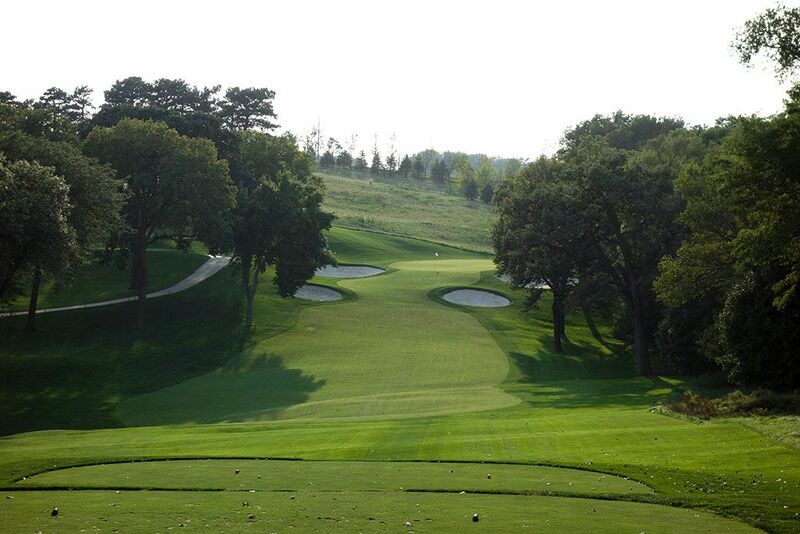 Best Par 3: 3rd Hole – 234 Yards – Omaha CC enjoys a beautiful collection of par 3s and the first one players encounter is this downhill brute. Two bunkers flank the right and a single bunker protects the left as players attempt to calculate how much yardage to take off their downhill shot while also accounting for the wind that often swirls on this hole. The safe miss is short where players will have their best chance to navigate the sloped green and manage to walk away with par. At a course full of exhilarating shots, this tee shot is one of the best. Best Par 4: 9th Hole – 405 Yards – There is something about playing a hole back towards an impressive old school clubhouse at a country club. Those holes generally play uphill, as this does, since the clubhouse is often at the high point on the property to provide the most commanding views. The 9th at Omaha CC is a slight dogleg right with a trio of bunkers protecting the corner of the turn. The approach shot plays to a green surrounded by bunkers with the palatial clubhouse providing an impressive backdrop to the putting surface. Though the length isnâ€™t overwhelming, the trees and bunkering found on the hole may cause some players to pucker coming in on the front nine. 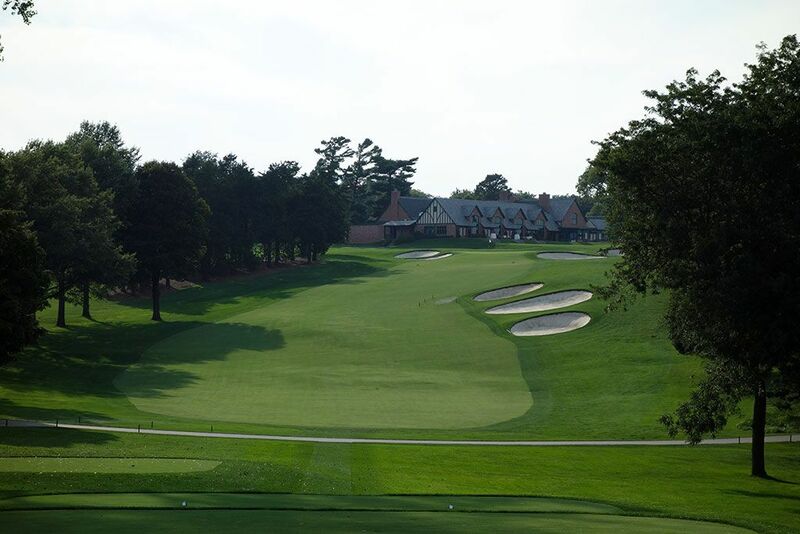 Best Par 5: 16th Hole – 527 Yards – During the 2013 U.S. Senior Open the 10th hole played as a par four and left the 16th as the only three-shotter on the back nine. 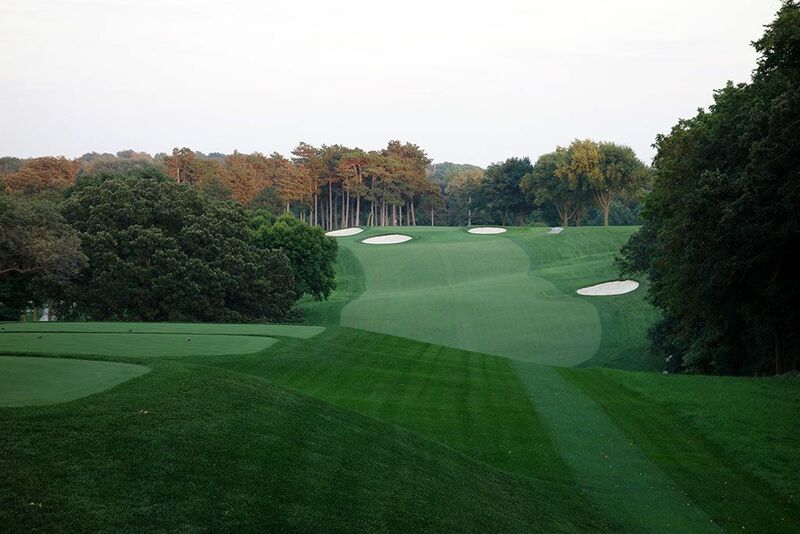 In addition, holes 14-17 were routed differently for the tournament to improve spectator flow so if you became familiar with the course during the Open you may recognize this as the 14th hole during that week. This double dogleg bends to the right initially before banking back to the left where the green sits in a hillside protected by five bunkers. The safe misses on this hole are to the right since the left side is completely covered in ball-eating bushes in addition to the towering trees. The two-tier green has a small opening at the front right of the putting surface thus requiring players to fly their approach shots in when attacking the pin. Birdie Time: 13th Hole – 315 Yard Par 4 – This hole reminded me of a mirrored version of Merion's 10th hole; an elevated tee that plays down to a fairway that climbs back uphill to a protected green. At just 315 yards the hole is reachable off the tee for long players while golfers that choose to lay up will afforded a wide landing zone about 100 yards from the green before it starts tightening up towards the entrance of the putting surface. The green slopes from front to back, so keeping the ball below the hole is critical to increasing your chances of carding a birdie. If you don't take advantage of the 13th hole then players are given another chance to score well with the short 14th; just make sure you birdie at least one of them. Bogey Beware: 18th Hole – 461 Yard Par 4 – Like so many championship courses, the finishing hole at Omaha results in a stout test that demands players are on top of their game to the bitter end. The tee and green are nearly level from each other while the fairway dives down a ravine that slopes hard from right to left towards the trees. The uphill approach shot from an unlevel lie is a taxing challenge that many will see little success on. Given the uneven approach lie, it is highly likely that someone in your foursome will end up in one of the three bunkers protecting the green and will have to show off their short game to save par.